It can safely be said that there isn’t another home like this in the world. 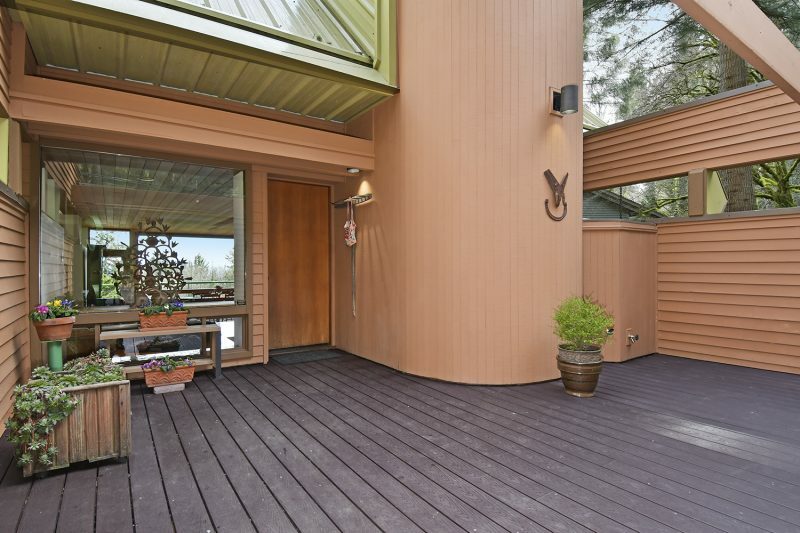 This Portland, Oregon home was designed by renowned architect Robert Harvey Oshatz. 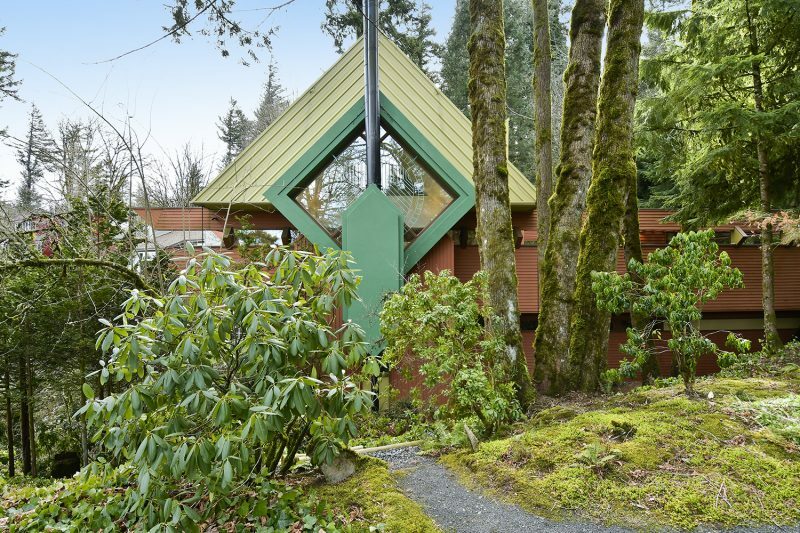 It is on the market for the first time on market in over 30 years. 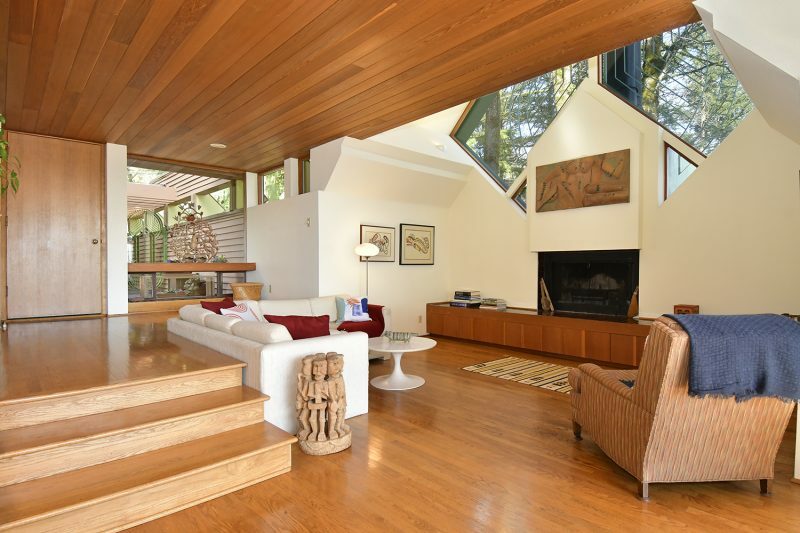 This home has been featured in numerous publications and on HGTV. 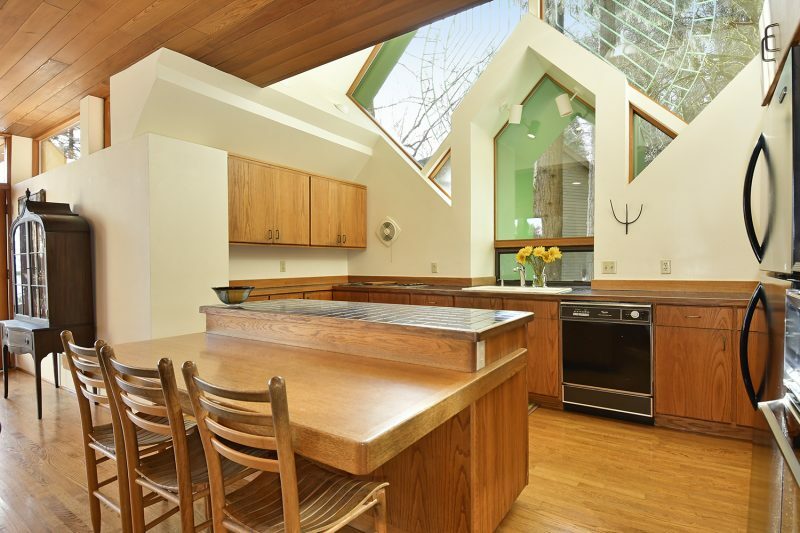 It is flooded with natural light from 12 ft. windows on three sides. 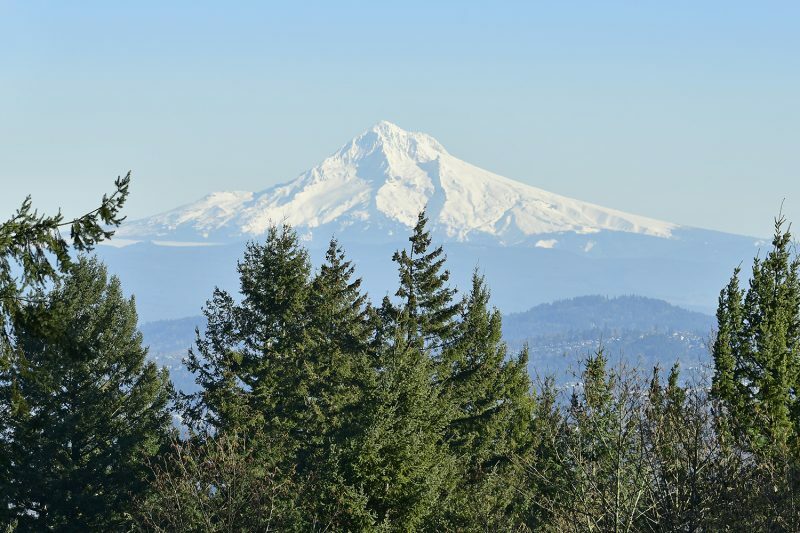 The home offers stunning postcard views of Mt. Hood and the city. 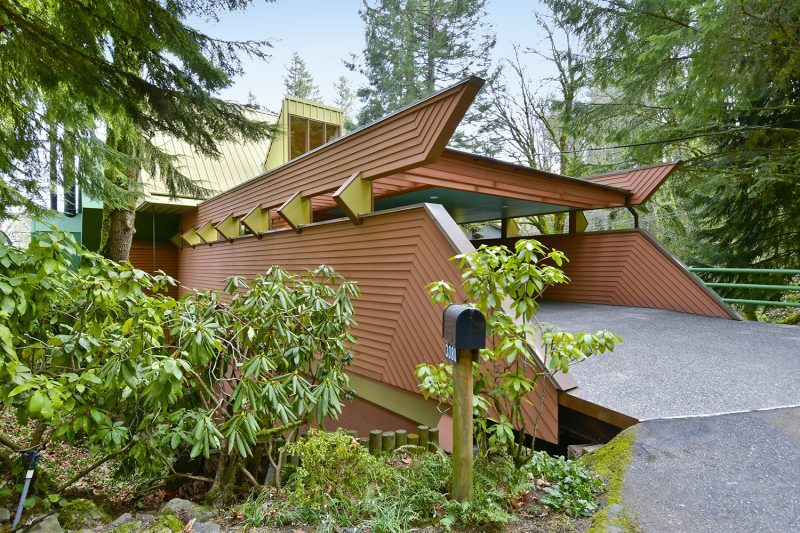 The Rosenthal house was originally designed and built as a spec project. It was based on a cross-axial plan centering on a direct view of Mt. Hood. 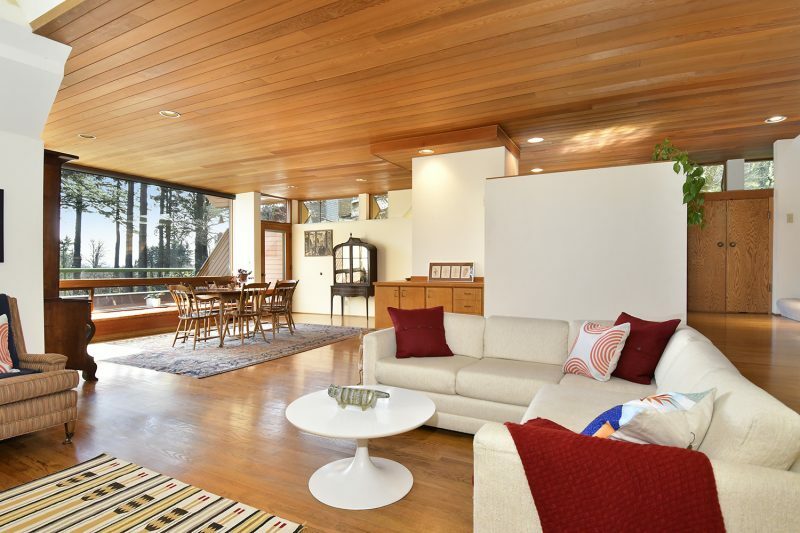 A clerestory admits natural light into the main living levels of the house. 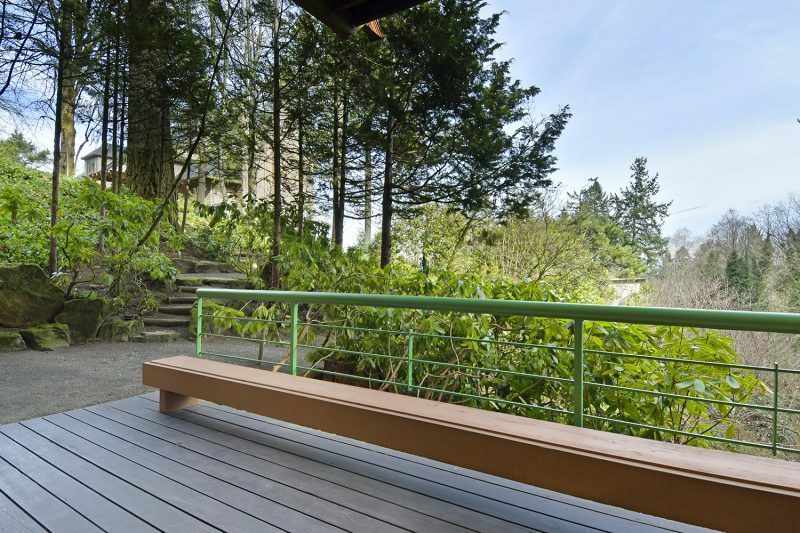 From the street, the house is entered via a bridge, which doubles as the carport access. The bridge springs from the hillside anchoring the house and giving reinforcement to the horizontal aspects of the design. Tall shafts of fir trees and the main massing of the house itself give the composition a strong interlocking counterpoint to the design and an overall feeling of anchoring the house to the steep site. The interior spaces feature slate and carpet floors, white oak cabinets with granite counters, hemlock ceilings and custom beveled cedar walls. The exterior is woven together with custom beveled cedar siding, brown stone from central Oregon and teal colored stucco. The design achieved a modulation of components into ever-finer texture by the use of detailing of materials and the uses of elements such as the wrought iron screens at the windows and the entry gate. 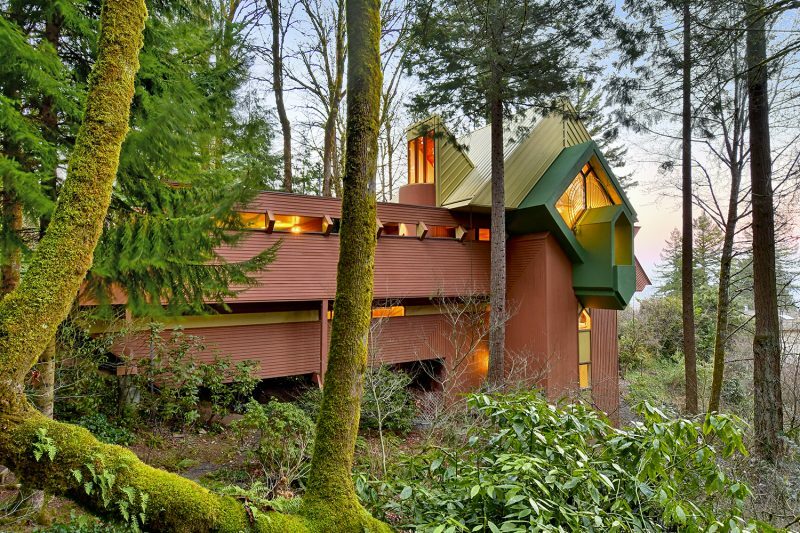 The architect recently talked with the Oregonian about the home. Sharing the importance of light for the home. 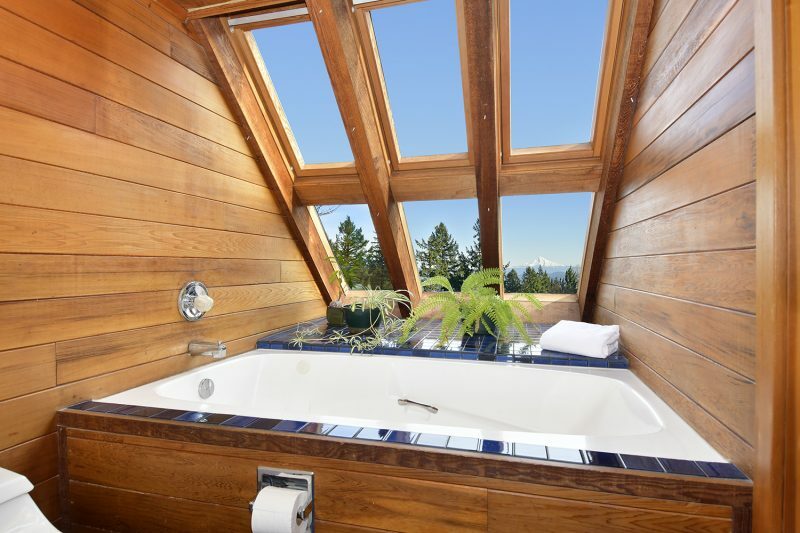 This spectacular property is listed for $1.15 million with Windermere Real Estate, an affiliate of Luxury Portfolio International.